Since the industrial revolution, and the advent of mass production manufacturing, humans have understood the value of automation and the power of a well-designed step-wise controlled method of production. In its essence the automation of any business process is the application of leverage to yield a greater output using less human effort while maintaining a high level of quality. The challenge, for us, is to apply leverage to business processes to create more high quality output using less human effort, thereby giving us a competitive advantage. So, the profit is in the leverage, and the leverage is automation. 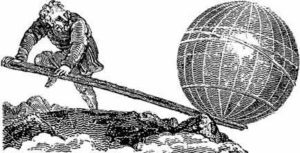 Archimedes is credited with the phrase: “Give me a place on which to stand, and I will move the earth.“Maybe we don’t need to move the earth, but we do need to move business, and automation is our place to stand, and our lever. Business automation is the application of a “machine” which works predictably, repeatedly, and measurably, combined with the minimum human effort required to produce high quality business output in real time. The need for business automation is driven by the ebb and flow of a given market, and by competition. Companies that are leaders succeed because they offer products and services of high quality at a low cost. Companies gain market share because they differentiate themselves from the competition. Differentiation refers not only to “low cost” and “high quality”, but also a company’s special “know-how”. That is, knowing how to do something that no one or few know how to do, or at least knowing how to do it better than anyone else. So our value proposition is not only having a place to stand and a lever (i.e., the right tools), it is also, most importantly, knowing how to use our tools to do the right things! Put simply, successful companies know how to automate, and they know what to automate!